Things for the cabin, from my Man Cave at old house. Here I tried again to post some of my western stuff I have collected. Photobucket did not work last time. I will put into the cabin. Some of the things from my other cabin I built and sold. Here is one picture, of old cabin. At the top is AXE Handle banister I made. Still have the big cedar carved bear. a child. So he said "SHUT UP AND GET OUT OF MY FORT"
Could not open this....wanted to see more of your cabin.. 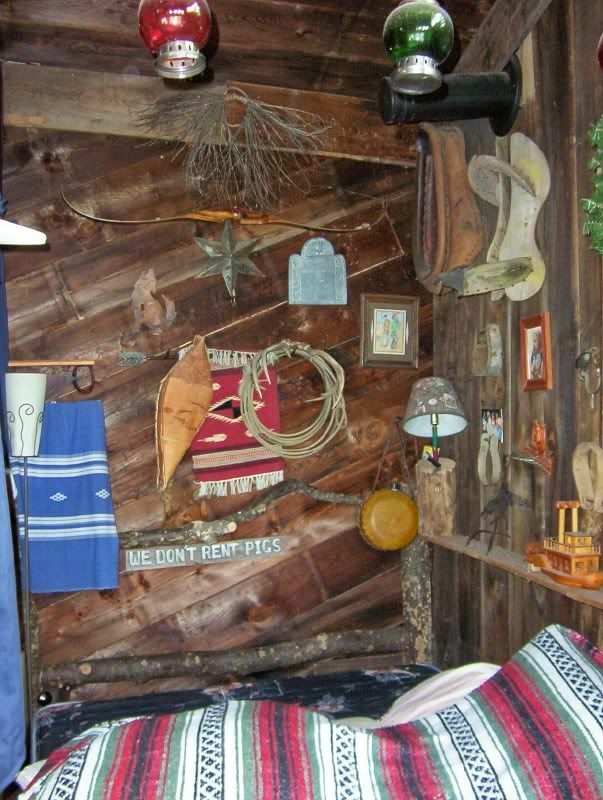 I saved some of my western stuff I have collected to put in my cabin. I tried to post it before and photobucket froze up lol. Here are some photo's of my messy cabin as I worked inside. you can see my vision I had in my head. 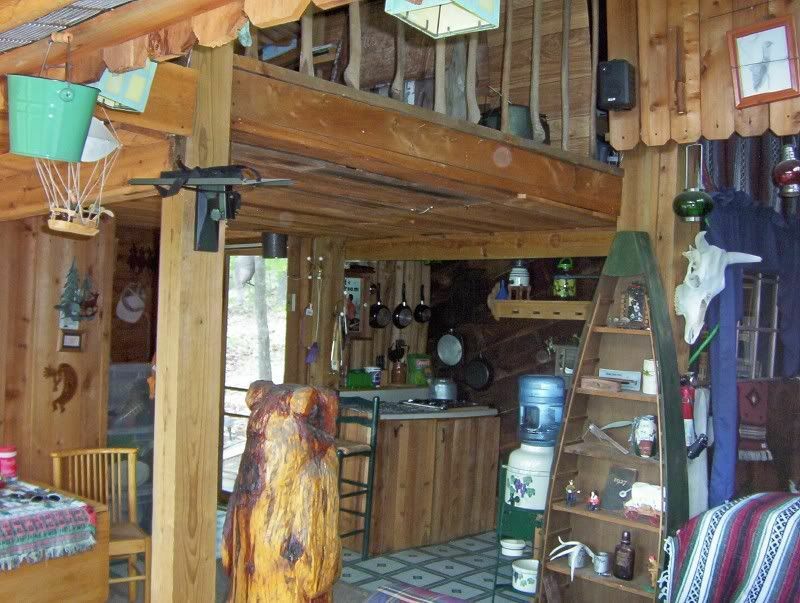 Lookin at your pictures of your old cabin kinda reminds me of walkin into a Thrift Shop, Mike. I think the wife would agree with you. This was a man's cabin. All my choices.